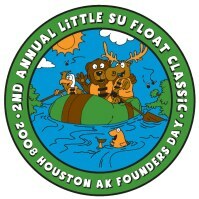 Little Su Float Classic River Race/Founder's Day Website!!!! We are still accepting sponsors for the River Race and the BBQ and Kids Games. Each sponsor gets a free entry in the River Race and in the Parade. coupons, trips, buy one get one free coupons, or cash donations for the Race T-shirts (your business name on the back for a minimum contribution of $200 in goods, services or money). Gold Level Sponsors-$2000- Large Banner at the River Race and Parade and BBQ, Media Ads, Website ad and link, Full year of advertising on the Chamber website. Silver Level Sponsors-$1000- Medium Banner at the race and Parade and BBQ, Media Ads, Website ad and link, Full year of advertising on the Chamber website. Bronze Level Sponsors- $500-Small Banner at the Race, Parade, BBQ, Media ADs, Website ad and Link, Full year of advertising on Chamber website.